I have the following display "High PPI 2.2 inch TFT Display shield for Raspberry pi 2B/B+ With 6 Keyboards and Remote IR" (built in in case): Some pictures and instructions can be found here. Config modules to startup screen. But it still does not work. Any advice what I'm missing? Easiest way to make it work? I was able to find easy and detailed steps for installing software required to make it work at Adafruit site. Note: It seems that there is no way to make this TFT work simultaneously with external monitor connected over HDMI. Not the answer you're looking for? Browse other questions tagged raspbian pi-2 display or ask your own question. 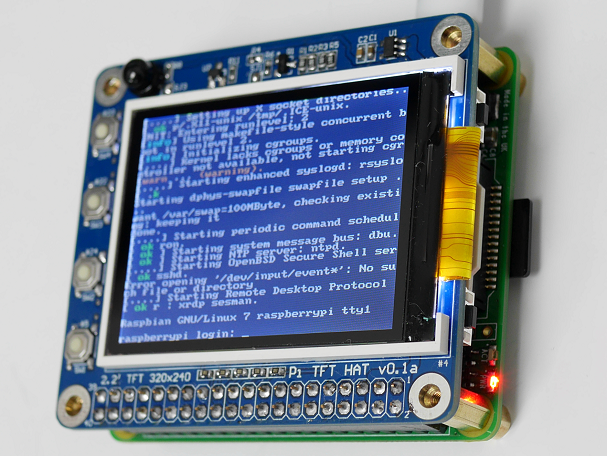 How to use 2.4" TFT LCD Shield with Raspberry Pi?